Every time I cut open a blood orange, I marvel at its strange, dark beauty. 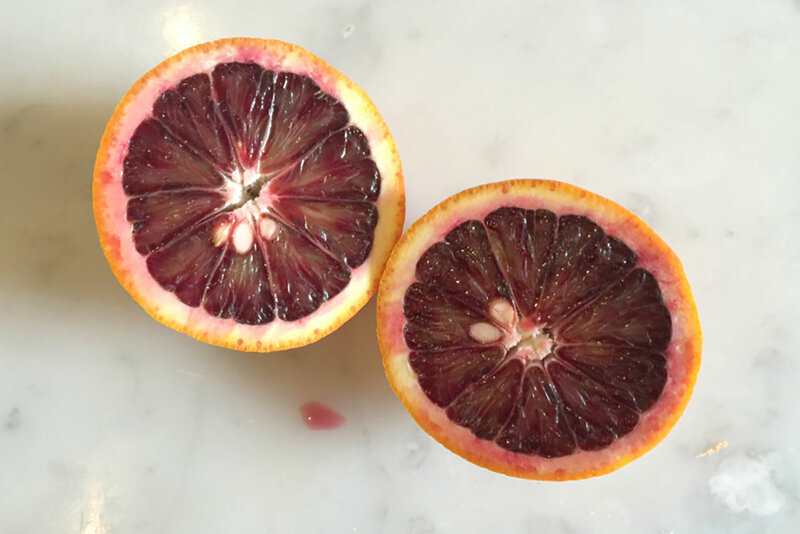 The best blood oranges are grown on the volcanic plain surrounding Mount Etna in Sicily, where the soil and the fluctuation of temperature between day and night cause pigments called anthocyanins (which are high in antioxidants), to develop. So it isn’t just the evocative names of the varieties: Moro, Tarocco and Sanguinello to tempt me, the fruit is a superfood too. 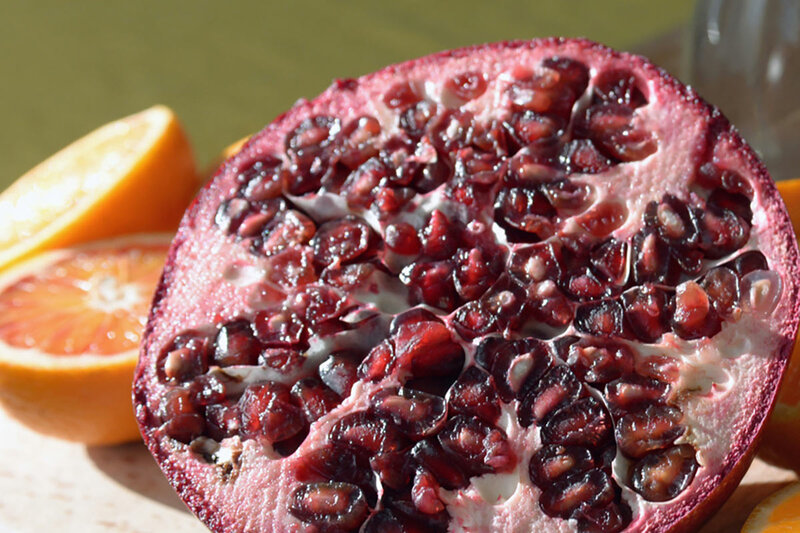 The ruby red seeds of pomegranates, also cultivated in Sicily and probably introduced by the Arabs, have a high anthocyanin content due to the same blood-red pigmentation. Fortunately both of these wonderful fruit varieties overlap seasonally, so around this time of year, my fruit basket is filled with these two exotic and health giving ingredients. 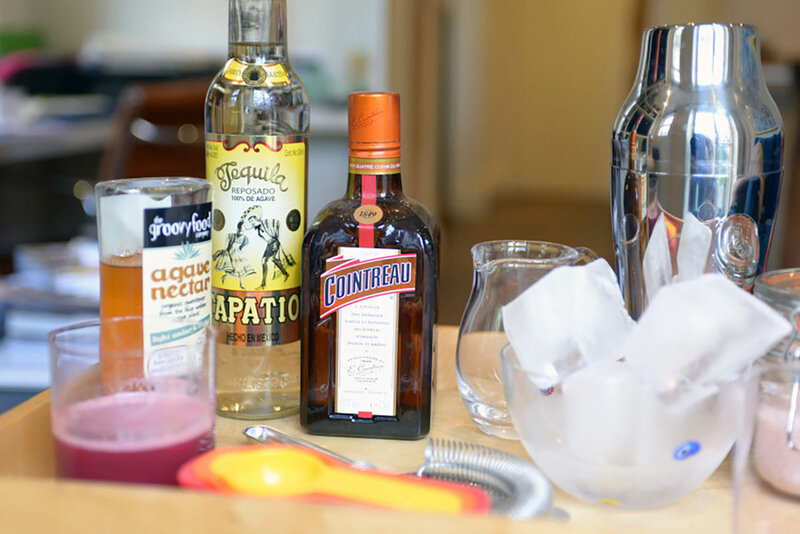 It’s healthy to have fun too, so mixing up a cocktail every so often is just the way to celebrate these beautiful fruits. I’d recently bought a wonderful 100% agave tequila reposed from Tapatio, which is rested for four months in ex-bourbon casks to round out the flavour and tame the edges. A flash of inspiration led me to mix up this beautiful pink drink. Chill the glasses in the freezer for half an hour. Stir the liquid ingredients with lots of ice to chill completely. Rub the rim of the glass with salt and strain the drink into the glass. I like to serve it very chilled but without ice in the glass so there’s no dilution.